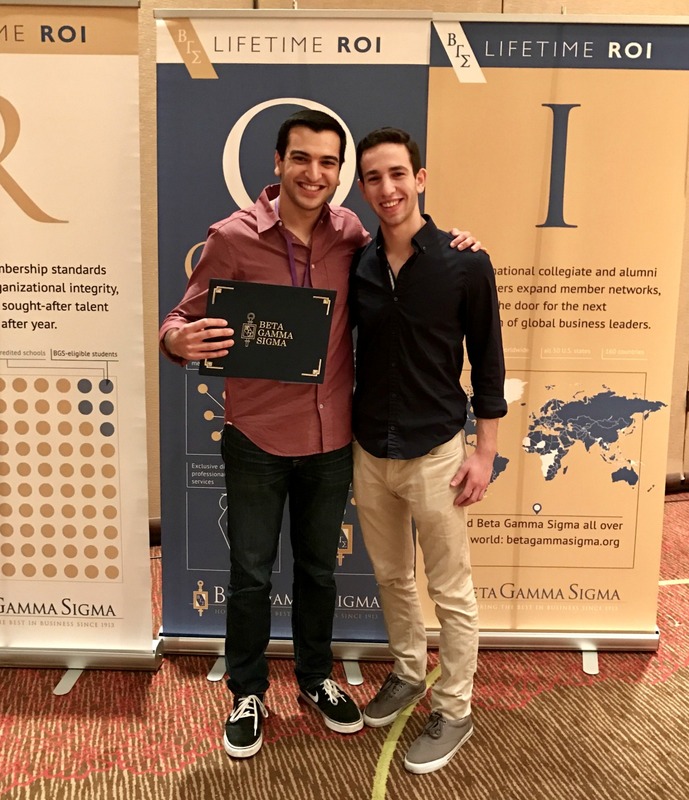 Sy Syms School of Business senior Matan Horenstein was a member of the student team that won the case competition at the 2016 Beta Gamma Sigma (BGS) Global Leadership Summit in Dallas, Texas. The summit is a prestigious conference that brings together 400 student leaders from top-tier business schools worldwide to learn from industry experts, collaborate on business ideas, and compete for recognition by corporate and academic recruiters. Matan Horenstein, left, and Dov Herzberg represented Sy Syms at the Beta Gamma Sigma Global Leadership Summit. Sy Syms was represented at the conference by Horenstein, who is studying business intelligence and marketing analytics, and Dov Herzberg, who is majoring in finance. Both have been inducted into Yeshiva University’s chapter of BGS, an international honor society recognizing business excellence. 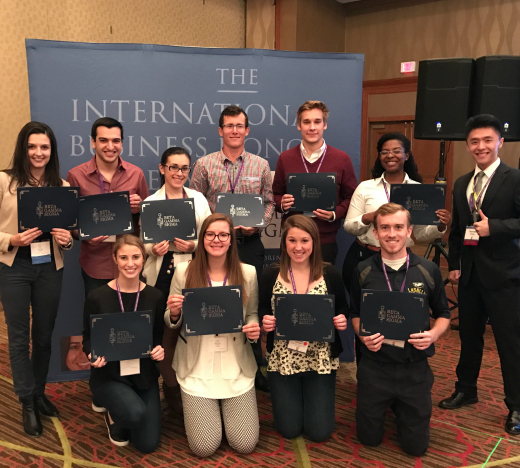 The society is open to the top 10 percent of upperclassmen at AACSB-accredited business schools; this was the first year Sy Syms students were eligible to participate in the summit. One of the conference’s highlights was the KPMG-sponsored case study competition, during which 45 teams of students competed on topics that ranged from creating marketing plans to solving moral and ethical dilemmas which face companies today. Horenstein’s team was named the winner for their proposed campaign for REI, an outdoor clothing and equipment company.